Please share your images of the 2009 International Convention and Old Equipment Exposition which was held September 18-20 at the National Construction Equipment Museum in Bowling Green, Ohio. Please be advised: If you want your images to appear in a specific order, upload the images individually, rather than in a batch, and upload the last image in the sequence first. If you upload more than one image at once, there is no way of controlling the order in which they will appear in the gallery. Also, you can add captions to your photos, but there is a 200 character limit, including spaces, to their length. 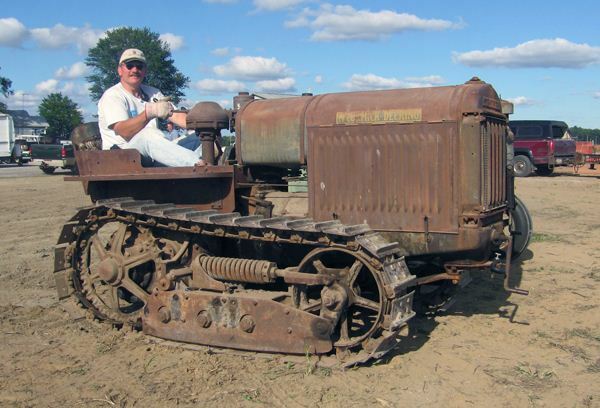 Show Co-Chairman Mike Androvich on his 1931 McCormick-Deering 20 TracTracTor.